I’m always excited about writing that incorporates adoption into its narrative because it’s so fundamental to my own identity. 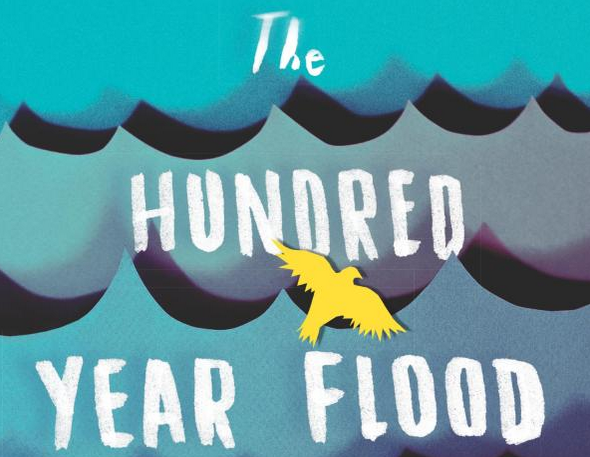 It’s rare that I can relate to characters in fiction because their experiences are often very different from my own, so when I heard about Matthew Salesses’s debut novel with a transracial adoptee protagonist, The Hundred-Year Flood, I knew I had to read it. Salesses, like me, is a Korean adoptee, and I was curious to see how he would integrate the experiences that are tied to the adoptee experience into his story: feelings of otherness, the complicated journeys of self-discovery, the discomfort that comes from needing to explain your circumstances, among other things. I’m happy to report that while Salesses organically integrates and explores the protagonist’s adoptee identity in very substantial ways, the story is not solely defined by it either. Salesses seamlessly blends these complex facets of identity into an equally rich setting and captivating story through masterful honing of metaphor and poetic language. The protagonist, Tee, is a biracial Korean adoptee that decides to move to Prague after September 11th and his uncle’s suicide to get a fresh start, and shed some of the weight of his past. Prague is eloquently conceived as a deeply mysterious and storied place with a history of resistance. For Tee, “Prague might be the perfect place, after all: a city that valued anonymity, the desire to be no one and someone at once.” Most of the story feels as if it takes place in Prague in the reflective, intimate mood of the night. Salesses vividly and painstakingly lays out details of the city that struck me as very poetic, such as “hidden gardens, as if pumped through the arteries of a secret heart.” Eventually, in a drunken new year’s eve stupor, Tee befriends a former revolutionary-turned-artist, Pavel, and his wife Katka, and they form a relationship when Tee begins to model for Pavel’s paintings. The story captures very specific experiences that come up commonly among transracial adoptees, but it does not focus entirely on Tee’s adoption. It’s a driving force that runs in the lifeblood of the book, but it isn’t forced into the narrative at inopportune times. Tee mentions the otherness he feels when he is painted by Pavel, he is used to being ‘an object of dismissal’. When he is in the hospital, a Korean girl obliviously asks why he cannot speak Korean. His American identity is questioned in Prague because he does not look ‘American.’ All of these details resonate with my own experiences both at home and abroad as a Korean adoptee. These events come up as mundane experiences, but serve as stinging reminders of how the world interprets him. These depth of these touches may be missed by some, but they were not lost on me. Over time, after a very sensual and tense buildup, eventually Tee and Katka have an affair. It was done in such a way where the buildup was natural and believable. Their coming together as a white woman/asian male couple and the passion between them was not contrived- they’ve both faced similar struggles in the past. However, the sort of scrutiny and questions that come from less understanding outsiders later on in the book follow the same sort of pattern that would happen in reality too. I thought this was a progressive and subversive touch, albeit essential to the progression of the plot. As the story progressed and I became more absorbed, I realized that a massive flood in a foreign place is a perfect metaphor for the idea of finding one’s self, especially as a transracial adoptee. The compulsion to confront details of one’s memories and truth can be unpredictable, and often out of one’s own control. It’s often sudden, heavy, and forces one to face ghosts and memories of one’s past. Tee’s eventual affair with Katka and the ties it has to his tumultuous relationship with his father coincides perfectly with the urgency of the rising water as nearby buildings crumble. The beginning of the book can be confusing, as it hops between a hospital in Boston and Prague, but as we learn more about Tee, the plot choices and pacing seem appropriate in retrospect. It’s a literary journey that demands multiple readings to get a full understanding of the intricacies of Tee’s memories, psyche, and inner emotions, but it’s a worthwhile journey that demands investment and reflection. The first part of the book builds up the city, detailing it down to the mortar in the brick before destroying it all in a flood of biblical proportions. I am very satisfied with how The Hundred-Year Flood turned out. Salesses is poetic in a way that transforms even mundane details into vivid, lyrical paintings, and the well-developed setting makes for the perfect place for a confused Tee to explore himself. While I did have some difficulties at the beginning of the book with pacing and plot, after everything furiously unfolds in the emotionally tense, destructive forces of the flood you realize in retrospect that the buildup was well worth the time. There are some shocking secrets revealed later in the story that bring many of the ambiguities of the plot full circle, and making those connections is very rewarding. This book is certainly not a light read, but it deftly handles the journey of self-discovery of a young adoptee, those he makes connections with, and the haunting, storied place in which it all takes place. You can purchase The Hundred-Year Flood here. Note: LGA was provided with an advance copy of this book.